Our fresh garlic has a high vitamin B content along with other nutrients like phosphorus, iron, copper, selenium vitamin C etc. Our well-maintained and capacious warehouse helps us in managing the systematical arrangement of goods and meeting massive requirements of the clients at a time. Established in karur(India), we are capable of catering to the demands of the customers within the committed time. 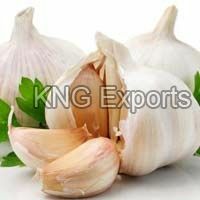 Our company is an eminent Supplier and Exporter of Fresh Garlic . It is a rich source of carbohydrates and protein. 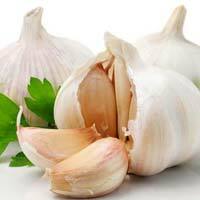 Owing to its rich aroma, Garlic makes an ideal choice of seasoning to prepare a variety of scrumptious delicacies. In order to retain its freshness, we offer the Garlic in meticulous packaging options. One can obtain it at nominal rates from us.